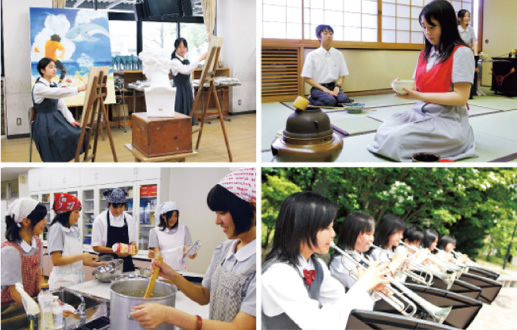 Nigawa Gakuin follows a 3-term academic year that is standard in Japanese schools. International students are able to commence studies at the beginning of any term, however, they should be advised that the Japanese academic year commences in April. 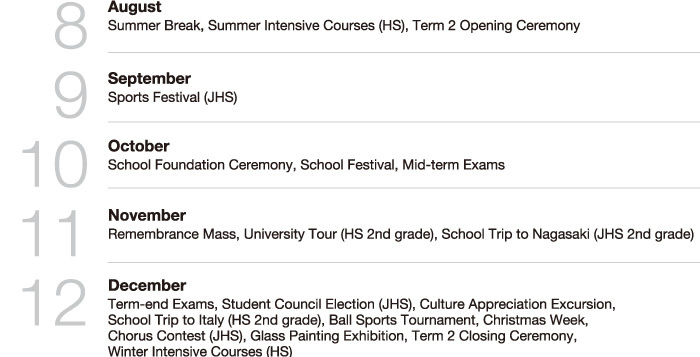 Nigawa Gakuin basically has a 5-day school week. A regular school day consists of 7 periods, morning/afternoon home room and a lunch break. The day begins at 8:15 and concludes between 15:30 and 16:00. 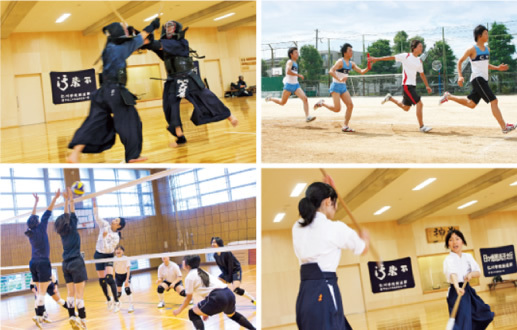 After school, many students participate in club activities and supplementary classes. These activities sometimes extend to the weekend as well.